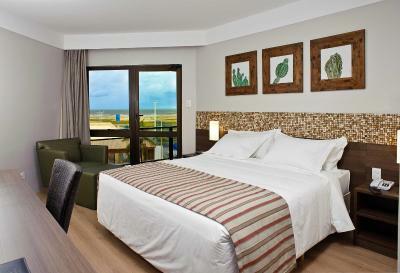 Lock in a great price for Celi Hotel Aracaju – rated 8.8 by recent guests! A small hotel not far away from the airport. The beach is just on the other side of the road. Rooms are clean and spacious. Very friendly staff. Good internet connection. Superb breakfast. Rooms can be noisy if the room is on the road side. The hotel staff was super helpful. I'd like our waitress,Jucimara, to be recognized for her excellent service. She made our stay even more memorable. Very comfortable, friendly staff, very good breakfast, very nice clean swimming pool, good location for the beach and to relax. Hotel is great and the breakfast delicius. The staff was friendly and I even had a beautician that come to do my hair in my room. The room was clean and the bed smell was so good. New Year party was wow! With plenty of delicius food and live music. Great location too. Excellent staff, good breakfast. 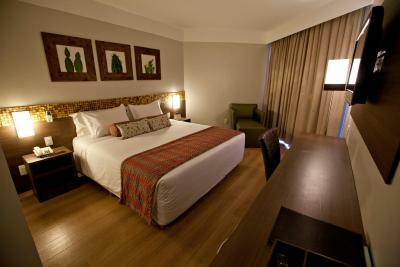 The room is very clean and comfortable. Everything is new and beautiful. Very clean throughout. 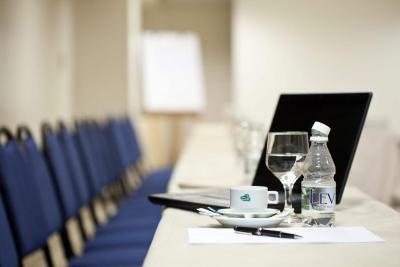 Very good location Professional tentative staff and fantastic chambermaids, room service and pool attendants. From the porter at the beginning, we felt welcome Lost property of headphones which where white(and went with the bedding) were very quickly returned when mentioned. Good honest staff. The food was clean and tasty although better to get to breakfast early than late. The bed was very comfortable and well looked after. Café da manhã muito bom com opções de preparo na hora, quartos e ambientes limpos e bem decorados. Ponto para localização e área da piscina. Instalações muito novas e tudo funcionando perfeitamente. Até as áreas comuns são climatizadas, mesmo os corredores do andar onde fiquei. O ambiente é agradável e o hotel é confortável e moderno. Os funcionários são atenciosos, principalmente Gerson. Os funcionários são muito simpáticos, rápidos, educados. O quarto é confortável. 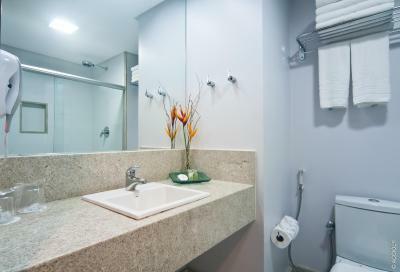 Celi Hotel Aracaju This rating is a reflection of how the property compares to the industry standard when it comes to price, facilities and services available. It's based on a self-evaluation by the property. Use this rating to help choose your stay! One of our top picks in Aracaju.The 4-star Celi Hotel is located in the Aracaju Coast in Orla de Atalaia and it offers modern rooms with splendid Atlantic Ocean views. It provides an outdoor swimming pool and free WiFi. 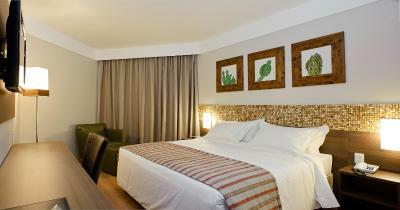 Celi Hotel Aracaju offers sophisticated accommodations with air conditioning, an LCD TV and a mini-bar. They are elegantly styled with parquet flooring, dark wood furniture and floor-to-ceiling windows. 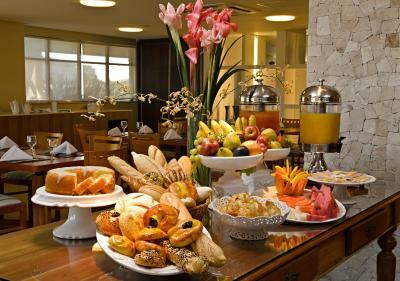 Maramar Restaurant serves a buffet breakfast every morning, which includes a variety of fresh fruits, breads and cakes. Guests can also indulge in the rich Brazilian and international menu that is offered in the evening. After a work-out in the fitness center, guests can visit the Riomar shopping Center, 3.7 mi away, which features a variety of stores and entertainment options. 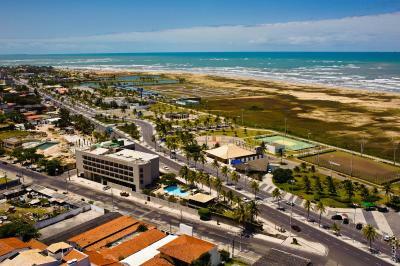 The Aracaju Santa Maria Airport is a convenient 5-minute drive away. When would you like to stay at Celi Hotel Aracaju? This modern apartment overlooks the city. Amenities include a 32-inch LCD TV with cable channels, free internet access, air conditioning and a minibar. This modern apartment features a balcony with a beautiful sea view. Amenities include a 32-inch LCD TV with cable channels, free internet access, air conditioning and a minibar. A cozy place, with the identity of who is proud to be an authentic Sergipe hotel and still be recognized by people all over the country as a landmark hotel in quality for services rendered. The use of regional elements and works of local artists that are found by the hotel confirms our identity and allows the client to feel the regionality of the Sergipe state location without leaving the hotel. Our satisfaction is to make the guests feel welcomed, it has the feeling of being at home, while far from it. 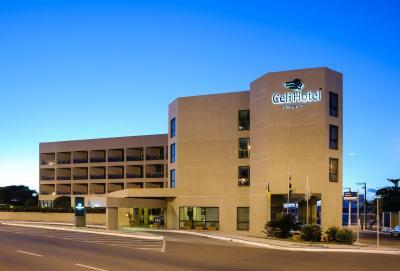 Celi Hotel Aracaju has almost 30 years of existence but is constantly renewed to meet the needs of our guests. We are happy to assist you with whatever you need! 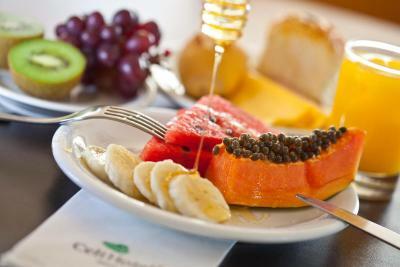 House Rules Celi Hotel Aracaju takes special requests – add in the next step! Celi Hotel Aracaju accepts these cards and reserves the right to temporarily hold an amount prior to arrival. According to the Brazilian Federal Law 8.069/1990, minors under 18 can not check-in at hotels unless they are accompanied by parents or an official guardian. If the minor is accompanied by an adult other than a parent, you must submit a written authorization signed and notarized by both parents. Please note that all children under 18 must also present a valid document with photo, to prove their identity and that of their parents. This document must be filed even if the minor is accompanied by parents. For children older than 7 years, the hotel needs to be contacted in order to check availability and extra costs. The hotel requires that the full payment of the stay must be placed during the check in. Please note that credit card used for make the reservation must be presented at the check in. Please note that guests staying at the property on December,31st 2018 benefit from a special New Year's Eve celebration,which includes a buffet, drinks and a bottle of sparkling wine. Please contact the property for further details. Tempo do check in é check out. toalhas do banheiro mal lavadas . Praticamente de todo o hotel. The breakfast time can get too busy and the staff can take long to bring what you ask for. Ac dose not work, under staffed, found a hair in my breakfast and the hotel management didn’t do anything about it. Worst place I have stayed I years would never recommend this place. Bathroom water temperature took a while to settle down. Water in sink just went straight down the hole and took a long time to drain away afterwards. Would of been nice to have a hot drink faculty available in the room The breakfast hot options didn’t change very much. The gym facility needs updating. They charge for water. R$3 for a 300ml bottle. 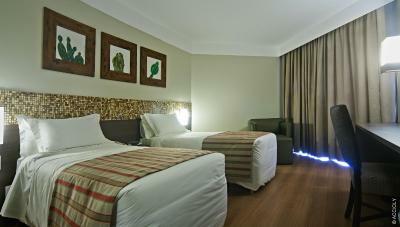 Good service, modern rooms and very clean.